Consistently catching big muskies requires trying new techniques sometimes, like these 10 tips. It seems like a simple recipe, really. Joe Bucher — longtime host of “Fishing with Joe Bucher” and a 2002 Fresh Water Fishing Hall of Fame inductee – believes there are just three ingredients to consistently catching big muskies. They are knowledge, skill and effort. The rub, of course, is they usually come only with time. Lots of it. Bucher, though, recently shared some secrets for catching more muskies more often. All center around one thing: getting big fish to bite. It’s one thing to find fish, he said. It’s another to turn their natural “wolf-like” curiosity into a commitment. “The biggest difference between a real successful angler in the musky game a lot of times and everybody else is the ability to get the fish to strike,” Bucher said. Here are 10 ways to do it. Muskies are apex predators, at the top of the food chain. To the biggest – fish maybe 20 years old – everything is a potential lunch. They’re infamous for following lures, though, sometimes right up to the boat, then disappearing. If Bucher gets a “follow” like that on a topwater lure, he immediately casts back over that fish. But this time he tosses a big inline spinner, one perhaps with #10 blades. He reels it back as fast as he can, creating a commotion on the surface. 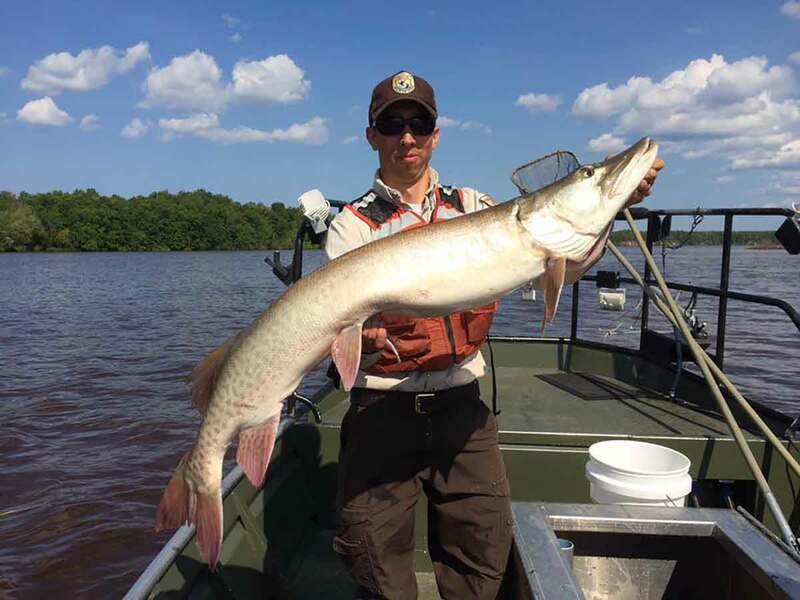 It’s not uncommon to raise a big musky in midday but be unable to get it to bite, Bucher said. He doesn’t give up on it, though. Always, before heading home, he returns to it just before dark. 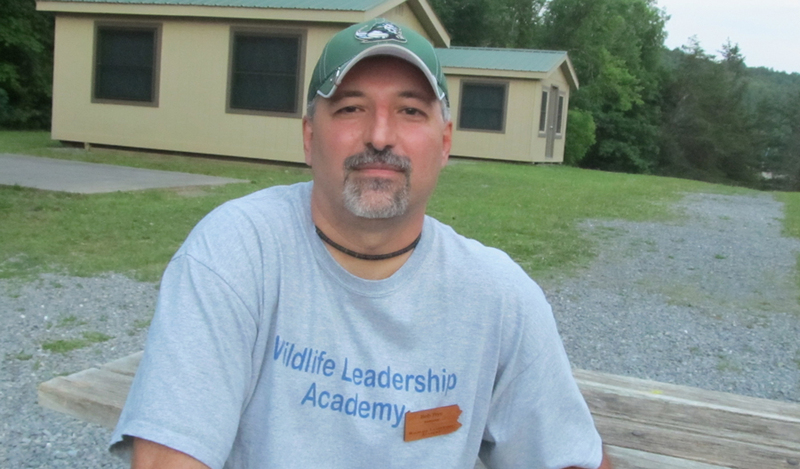 “I’ve caught so many of my big fish coming back to them when you can barely see,” Bucher said. More often than not, he gets them on one style of lure, fished one way. The key, though, he said, whether casting or trolling, is to bounce those lures off cover like rocks, weeds, timber, even the lake bottom. Sometimes, Bucher said, a musky will hold tight to a piece of cover, such a log lying in the water. And anglers who raise that fish there once expect it to always be there. That’s not so, Bucher said. Fish move with changing conditions. “A lot of times what’s going on there is that the wind action or the wave action takes that fish into that spot,” he said. “One thing I’ve learned is that these big fish, sometimes the only time you can really get them is when it’s almost too dangerous to fish a spot,” Bucher said. In a “big blow,” or storm, for example, muskies sometimes leave deep water to cruise places like rocky points, Bucher said. If you have the right equipment – trolling motors and the like – to control your boat and fish such spots safely, the action can be good, he said. That’s provided you get the baits to the fish, though. “When the wind is blowing really hard, these fish are not chasing. They’re not chasing the bait to the boat,” Bucher said. And now, the opposite approach. Sometimes, Bucher said, the best fishing is on waters – or portions of waters – unaffected by a storm. Places out of the wind are prime then. Exploring such “backup” waters has another benefit, too. Conventional wisdom says catching big fish requires throwing big baits. That’s not always true, Bucher said. On occasion, for whatever reason, a musky decides a meal is just too big, he said. So sometimes he casts immediately back to a fish that followed but didn’t strike with an identical – but much smaller – lure. “If you raise a big fish, let’s just say on a big bladed spinner, have that same bait in a miniature version close by and ready to go. This has been a really successful tactic for me,” he said. Likewise, around cold fronts, he downsizes and tosses 4-inch lipless crankbaits that a bass angler might throw. One word of caution with smaller baits, though: they have to be rigged on lighter rods, Bucher said. Attach them to a really heavy musky rod and you’ll get bites but be unlikely to keep fish hooked, he said. The best musky waters see a lot of pressure. And, often, many of those anglers throw the same lures to the same fish from the same places. Bucher gets creative. If most anglers set up on one side of a point, for example, he’ll cast from the other, to surprise conditioned fish. Many musky lures feature fistfuls of sharp treble hooks. To avoid fouling them, anglers limit themselves to fishing the edges of weeds and other cover, Bucher said. The problem, he noted – especially on waters with lots of activity – is that’s not where the big muskies are. They retreat into the really thick stuff and catching them requires going in after them. “Go into the jungle,” Bucher said. Once in that nastiness, he targets muskies like he would bass. He throws single-hook spinnerbaits and zig-zagging topwater baits. The latter are especially effective used in open pockets within the cover. “All that moving and pausing and aggravation inside the junk just fires those big fish up,” Bucher said. Lure manufacturers are very good at making lures do certain things, Bucher said. Floating crankbaits, for example, are excellent at doing just that, diving on the retrieve, then floating to the surface. If the water is cold and fish are relatively inactive, though, they won’t come up to chase such a lure. And it’s almost impossible to get it down to them. So he tweaks lures. He might add lead plumber’s tape to a lure or, more often, swap out their standard hooks for larger, heavier gauge ones. “By something as simple as changing the sizes of the hooks on these lures, we can really effect the buoyancy of the bait and turn it into a totally different lure. Now that floating bait is a suspender or even a sinker,” Bucher said. All avid musky anglers have heard of the “figure 8” technique. When they get a lure to the boat, they lower their rod tip to the water and move it about in a figure 8 pattern. Bucher catches 25 percent or more of his big fish that way. It’s not just the angler who raises a big fish who should be doing figure 8s, though. If there are two anglers in the boat, and one raises a fish, Bucher the other should immediately put his or her lure in the water and start doing a figure 8, too. “Once in a while, you brought the fish up on one bait, then the fish goes off that bait and all of the sudden it rises up and crushes the other,” he said. Now, none of those techniques guarantee a musky on the hook. But they all work sometimes, Bucher said, and once is all it takes. “If you’re a hunter you know you only have to climb into your tree stand and have it go right one time. Well, you only have to make one cast and everything’s changed,” Bucher said.